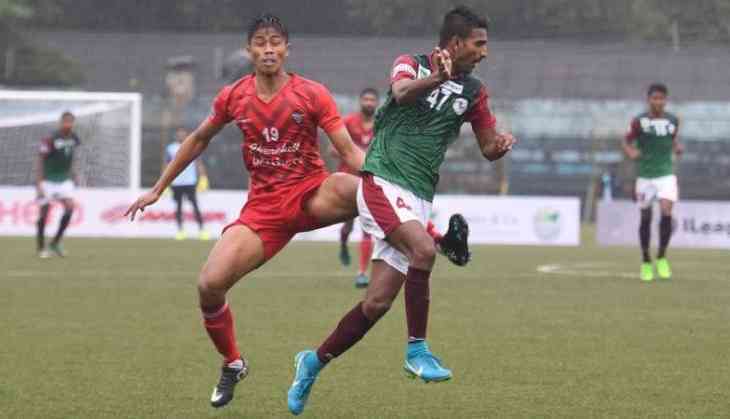 The visiting Churchill Brothers embarrassed Mohun Bagan 3-0 after former Trinidad and Tobago international Willis Plaza made a stunning return to the city, heading in a brace in the I-League on Sunday. Forced to leave the Maidan after parting ways with East Bengal earlier this year, Plaza looked in ominous form and struck in a space of four minutes (51st and 55th) to become the leading scorer with five goals to his name. He had scored a hat-trick in their 4-2 win over Shillong Lajong in the previous match. Captain Dawda Ceesay drew the first blood in the 21st minute with an easy tap-in long before the Goans jumped to second spot with nine points from five matches. Mohun Bagan (8) slipped to fourth in the table. Mohun Bagan were bolstered by the inclusion of their star Haitian forward Sony Norde who had a fine attempt in the 16th minute but his grounded shot from the edge of the box hit the woodwork. Five minutes later the Goans went up when Lamgoulen Hangshing's cross for Willis Plaza was cleared by Dalraj Singh, but an unmarked Dawda Ceesay made no mistake to stun the noisy home crowd. Yuta Kinowaki was unable to react quickly after Vicky Baskaran's half-hearted punch fell kindly for the Japanese. Plaza took the match out of Mohun Bagan's equation in the second half with his back-to-back headers. Israil Gurung's cross into the box was pin point for Plaza and he beat Dalraj Singh to head it home. Ceesay set up Plaza's brace from the left flank and the Trinidadian found himself completely unmarked before sealing the issue with ease. In the 90th minute, Ceesay could have also got his second but his long-ranger touched the wrong side of the crossbar before going out of play, saving Mohun Bagan further humiliation. Churchill Brothers next face Gokulam Kerala in another away fixture on November 30 while Mohun Bagan will host league leaders Chennai City on December 1. 26/11 Attacks Anniversary: The total expenses on Pak terrorist Ajmal Kasab's security, food and medical bills will make you stunned! READ NEXT >> 26/11 Attacks Anniversary: The total expenses on Pak terrorist Ajmal Kasab's security, food and medical bills will make you stunned!